Darwin recognized the implications of unguided selection. Nature favors traits that help organisms survive and reproduce, not traits that help organisms discover deep philosophical truths. 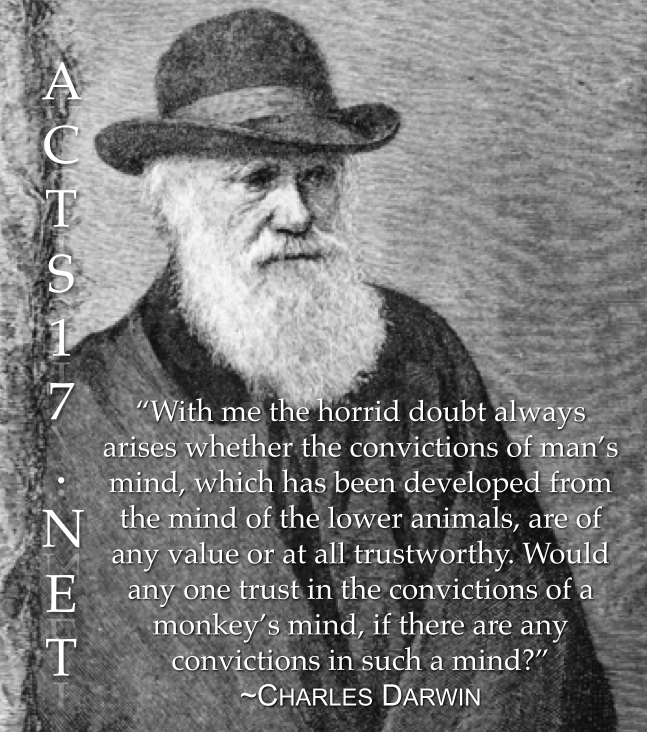 Hence, if our minds are the result of natural selection acting on random mutation, we can't trust our convictions. For more on the Argument from Reason, click here.